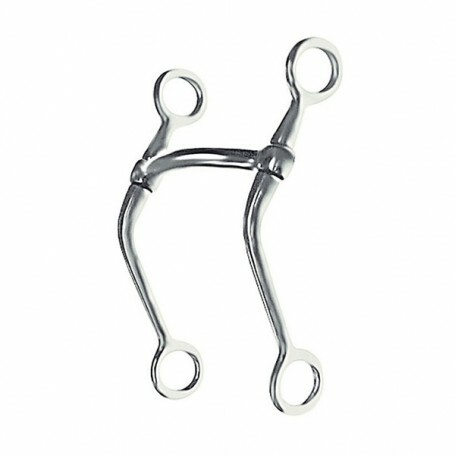 A lightweight effective bit that is a good tool for moving a colt from a snaffle or gag bit to a curb bit. The mullen mouth has no palate contact but extensive bar and tongue pressure.Shanks: 7", Stainless steel.Mouth: 5", Stainless steel mullen. A lightweight effective bit that is a good tool for moving a colt from a snaffle or gag bit to a curb bit. The mullen mouth has no palate contact but extensive bar and tongue pressure. Mouth: 5", Stainless steel mullen.